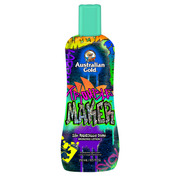 25X Radically Dark Bronzer blends DHA with Coconut Oil for seamless, delayed superb results. Purple Power Combo delivers powerful antioxidants. Hemp Seed Oil and Selfish Skin Softener to leave your skin irresistibly smooth.